January 1, 2015, a new child seat law went into effect across Florida. Children under 6 years of age are required to use the proper child restraint device while riding in a vehicle. Children 3 years of age and under should ride in a car seat, while children 4 – 5 years of age can ride in a car seat or a booster seat. Violation of the child restraint law carries a $60 fine and three points on the driving record. “Florida previously had one of the weakest child seat laws in the country,” said Ellsworth Buck, Vice President of GreatFlorida Insurance. “This new law will prevent juvenile injuries and deaths across the state, better protecting our children,” said Buck. The Centers for Disease Control and Prevention (CDC), reports car crashes are the leading cause of death among children in the United States. Booster seat use reduces the risk of serious injury by 45% for children aged 4 – 8 years old when compared with seat belt use alone. AAA Auto Club, makes the following suggestions for the appropriate child restraint system according to age and size of the child. Rear- Facing Seat –A child should be secured in a five-point harness rear- facing car seat from birth until age 2, or the manufacturers maximum height and weight limit, typically 35 pounds. Forward- Facing Seat – Children should be in a forward-facing car seat with a five- point harness until they reach the manufacturers maximum weight and height limit, usually 40-65 pounds. Booster Seat – Once a child is out of their forward – facing car seat, they are urged to stay in a belt positioning booster seat until they reach a height of 4 feet 9 inches and are between the ages of 8 – 12. All children under 13 years old should sit in the backseat of the car. The following recommendations go beyond the requirements of the law. The American Academy of Pediatrics, (AAP) gives the same safety advice to parents and guardians to protect their children by providing better support for a child’s neck, spine and head. “A booster seat will make sure the vehicle’s lap and should belt will fit across a child properly. The shoulder belt should lie across the middle of the chest and shoulder, not near the neck or face. The lap belt should fit low and sung on the hips and upper thighs, not across the belly,” The American Academy of Pediatrics. 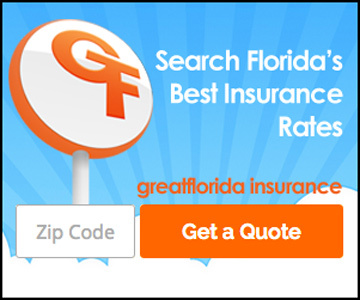 If you are searching for Florida auto insurance, contact GreatFlorida Insurance today. Our experienced car insurance agents have offices located throughout the state. We can provide you with affordable quotes from leading insurance companies across the nation.